Because of all of the people on the other side of the City Hall 4th floor I took this shot at a low angle. This made the people visible on the other side invisible. 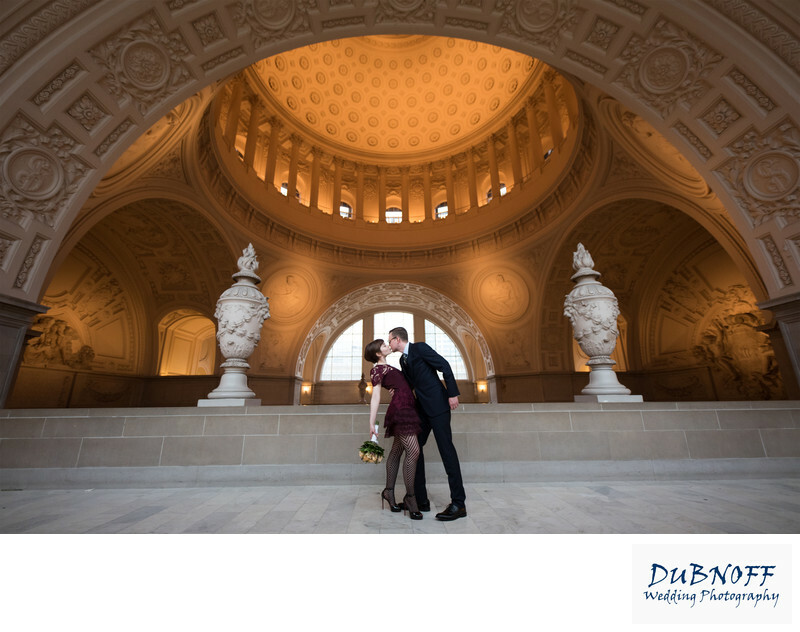 There are many tricks like this we use for taking great wedding photos at San Francisco City Hall.